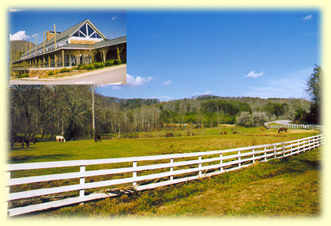 Set on 830 acres in the mountains of north Georgia, just north of Atlanta, the fabulous R-Ranch in the Mountains is a vacationer's paradise. Suited especially for RV campers and those who like to enjoy staying at a rustic cabin, this privately owned resort provides guests with the best that north Georgia has to offer. From the beautiful forest ridges to the rushing streams full of game fish, this region is a magnetic draw for visitors. More than just a simple timeshare program, R-Ranch in the Mountains offers guests the full package of amenities including swimming, hiking, horseback riding, and fishing. Available RV resort memberships for sale provide the access to this piece of paradise. For those who have an RV or other type of travel trailer, membership at R-Ranch in the Mountains includes reserved spaces at any time of the year. These wonderfully maintained RV campsites are fully equipped with water, dump stations, fire pits, and more. The Chapel Hill Cabins are located on a forested hillside. These beautiful A-frame structures feature running cold water, electricity, and kitchen appliances. Two huge bathhouses offer showers and laundry facilities. Maximum occupancy varies by cabin. The Rainbow Lake Cabins and R-Ranch Cottages are one- or two-bedroom configurations and overlook Rainbow Lake or the horse pastures. These units are more fully equipped and come with all necessary cooking appliances. The beds are double or queen, and the living rooms have wood furniture. The two-bedroom Rainbow Lake Cabins are loft-style with twin beds in the upper bedroom. The R-Ranch in the Mountains resort is staffed by experienced vacation accommodation personnel, and they're always on hand to help guests plan the very best north Georgia outdoor adventure. 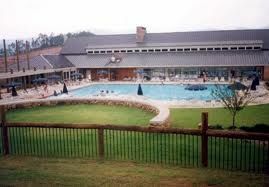 The huge outdoor pool is where families love to gather after a day spent on the hiking trails or on horseback. The horse stables are immaculately kept, and riders of all ages and experience levels will find the perfect mount. 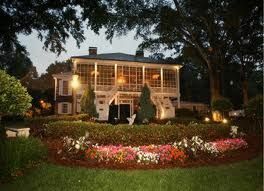 The recreational lodge, a 13,000 square-foot structure, is the place to go and enjoy folk dancing, potluck dinners, and other forms of entertainment. These RV resort memberships for sale offer discounted resale prices for timeshare ownership. Membership means a great family vacation at one of the most extraordinary RV resort destinations in the southeastern United States. Contact R-Ranch in the Mountains Specialist Today!